Our company offers all of its flights from one central location in the South Park Valley in the exact center of Colorado. 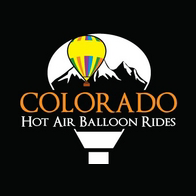 Our balloon ride facility is located in a remote mountain valley so to provide the most detailed directions possible we have divided our website into the 4 geographic regions that surround our launch site in the South Park Valley. Each region provides specific directions, proximity to our launch site and a link to book your reservation online.